Our team's experience spans beyond styling into logistics, production planning and marketing: all essential skills in our armoury, to ensure your project runs to schedule and budget, whilst capturing the hearts and minds of your prospective buyers. Our founder, Amanda Strijder, is dedicated, passionate and driven to deliver superior quality and creativity in all of her work. That's why furniture for each and every project is paired with original artworks, unique accessories and real greenery and foliage. This means that we often join forces with local artists and businesses who enhance our style. We have developed a network of Melbourne’s best creatives whose skills and products we draw upon, depending on our different clients’ needs. 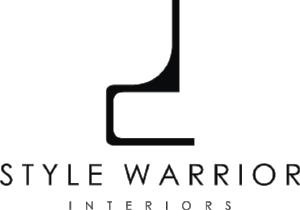 When it comes to property styling, we deliver powerful designs, with our focus being on both the seller and buyer experience. Favouring quality, bespoke and locally sourced items, this means our work is regarded as amongst the finest in the industry. Respect is paid to the architecture of each property, with strong consideration to photography angles and traffic flow for viewings. Our experience also spans commercial fit-outs and events and we bring the same precision and imagination to deliver the remarkable outcomes we are quickly becoming renowned for.